This is the latest recording from the Halifax Concert Band, a full-sized concert band based in Yorkshire, UK. The band is self-supporting and comprises woodwind (clarinet, saxophone, etc. ), brass (trumpet, trombone, etc.) and percussion (drums, timpani, etc.) players. All the players give their time and services for free. 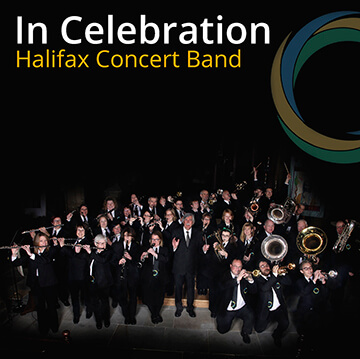 The CD recording is an eclectic mix of concert band music featuring items from the band’s Halifax born composer and conductor Christopher Binns. It was recorded at St Mark’s Church, Siddal, Halifax in June 2018. This is the the complete programme order on their latest recording venture.